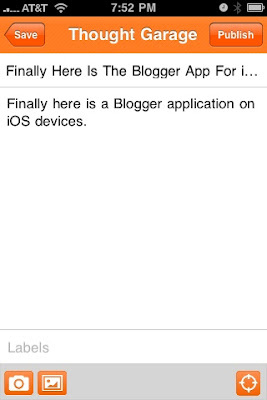 Finally here is a Blogger application on iOS devices. 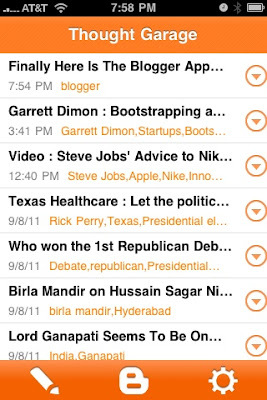 Primarily its an iPhone (iPod) application but can be run on iPad as well. Google announced the app on the blog and you can download the app from the App Store. 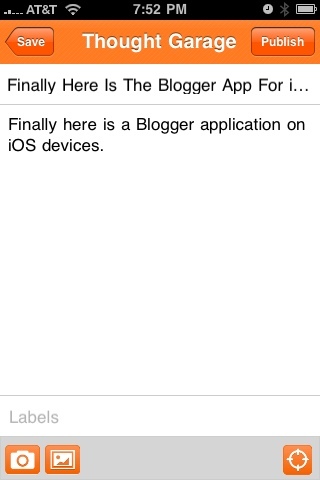 Read more about the announcement and features here : Blogger Buzz: Announcing the Blogger app for iOS. 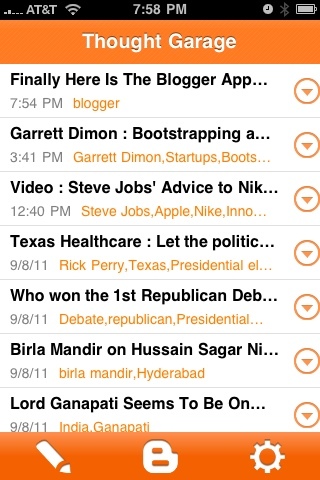 Here are a couple of quick screenshots from iPhone using the Blogger app. Glad, they made it compatible with all iOS devices by making it compatible on iOS 3.2+. The work flow is smooth and intuitive to work with. However, the composer doesn't support rich text, so you will see all HTML markup when you are trying to update an existing post. But big deal for me is it makes life lot easier now to post pictures directly to Blogger blog. Emailing a picture wasn't working as Blogger has difficulty in parsing images embedded in emails.